Working in a variety of roles and projects within NYCETC since 2011, Annie Garneva has developed a deep and enthusiastic understanding of the opportunities and challenges faced by New York City’s workforce community and the thousands of New Yorkers the system works with each day. In her position as Director of Communications and Member Services, Annie works with the Coalition’s over 180 members and partners to organize events, develop advocacy strategies and campaigns, and foster a well-informed and connected workforce development field with the aim of creating a system and city of equal opportunity for all New Yorkers. 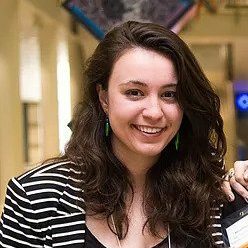 Annie holds a Bachelor’s Degree in International Relations from Tufts University, where she worked with Jobs with Justice Boston, participated in the Education for Public Inquiry and International Citizenship (EPIIC) initiative, and studied and interned in Madrid, Spain. Annie is a native of Bulgaria, and is trilingual in Spanish, Bulgarian, and English. She is dedicated to environmental activism and is part of Sane Energy Project.